The price of the apartment is from 28 to 84 EUR per night, depending on the number of nights, the number of people staying and the season. 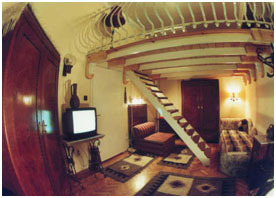 The very central location of the apartment is the main advantage. There are unlimited cultural and culinary program options in the neighborhood. The neighborhood offers great purchase opportunities also. During the whole year also be settled very often the popular wine tasting and brandy (palinka) festivals, and more recently the beer festivals, too. Isn't a fatal mistake not to offer the world famous hungaricum, the Tokaji Aszu to your sweety, if you are already in Honeyflower's Aszu Apartment?! Obviously it is a mistake, moreover if the welcome Aszu is hidden in the fridge, so you should just open the door and you will find it. The Tokaji Aszu is always fine and unforgottable! Cheers!